Today, I left Tamura City and pedaled toward Ryozen area of Date City. The main routes were national Route 349 and 115. These Routes were recommended by Ministry of Land, Infrastructure, and Transportation as the bypass route toward Soma City. 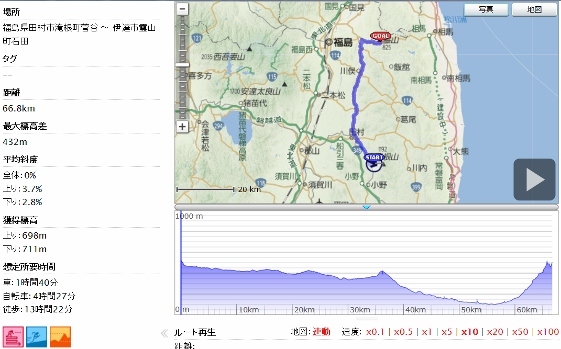 This time Ryozen was chosen as a relay point for bike tour toward Soma City. 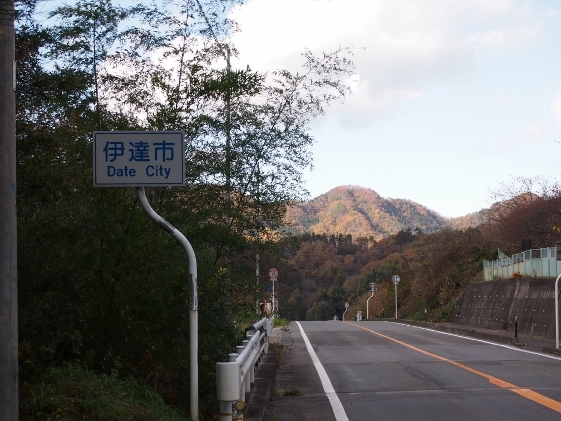 After entering Date City, about 10km of hill climb to Ryozen followed and it was a hard ride. 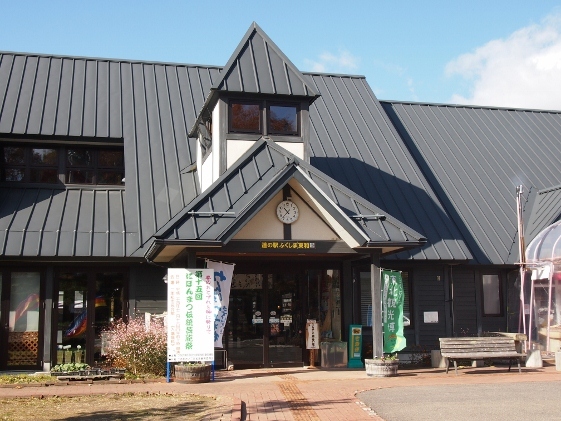 I found Road Station "Fukushima Towa" on the way on Route 349. 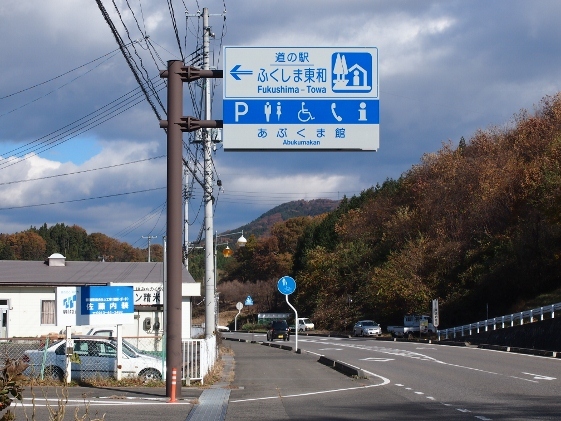 The pictures above show the guide sign and the outside view of the road station. 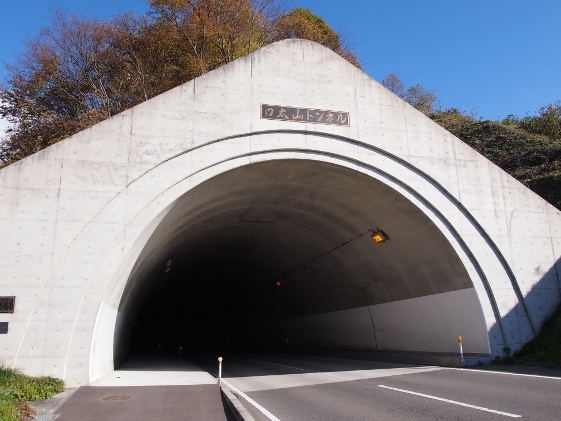 Then, I met with Kuchibutoyama Tunnel shown in the picture. This tunnel was about 700m long and what special with this tunnel was that it had a spatious side road for pedestrian and bike as can be seen in the left side. Since deep inside the tunnel is usually so dark for bike that one can hardly see the road surface, this type of side road is great for safety. The first picture above shows entering to Date City. 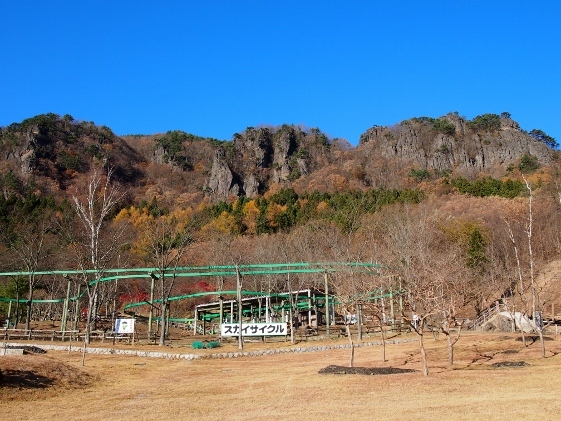 The second picture shows a view of Ryozen rock mountains. Ryozen was famous for its beautiful autumn colors; however the best time was over last week, still the view of rock heights was splendid. 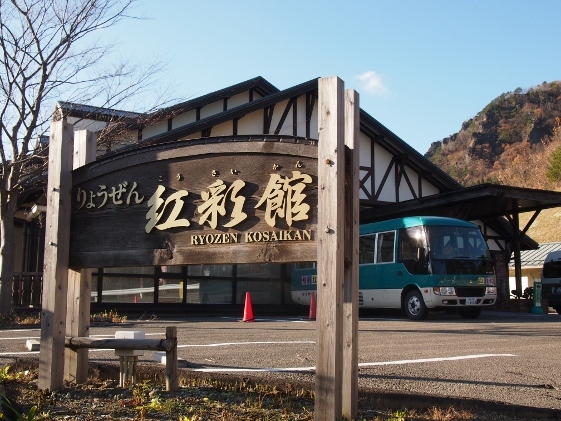 Today I stayed at Ryozen-Kosaikan Inn which was located on the foot of the Ryozen Mountains. This is a public inn operated by Date City. I could see the Ryozen view from the bath. This location was near the boundary to Miyagi Pref.